In high school, you might have been able to get away with studying only the night before an exam. This won’t cut it in college. Exams cover much more content and you can’t possibly learn and remember everything in one night. 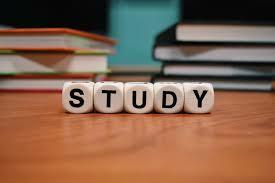 First, study lecture material as soon as possible after the lecture, even if it’s just an hour. Then, follow up with a little more studying on days the class doesn’t meet, preferably an hour a day. I have found this to be helpful in retaining information. Figure out your grades and grade cutoffs for your classes to see what classes you’ll benefit most from studying. For example, if you have a solid AB in math and need to earn 99% on the final to receive an A, it’s not realistic to try and achieve that. On the other hand, if you need to earn 88% on the biology final to receive an A, you should shoot for that.